A U.S. congressman is calling for a complete health review of petroleum coke before Washington approves the Keystone XL Pipeline. Michigan Representative Gary Peters claims that one third of the cheap, combustible carbon byproduct, used mainly in overseas power plants, comes from the Alberta oilsands. 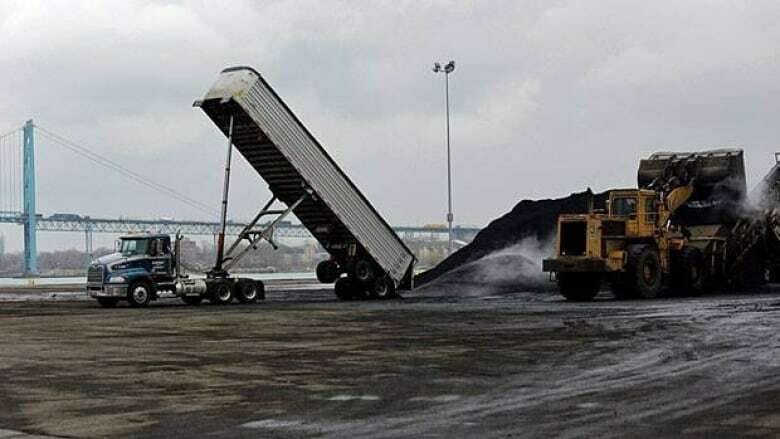 He announced Tuesday in Detroit that he intends to introduce legislation next week calling for a complete and comprehensive study of the environmental and health effects of petroleum coke, also known as pet coke. "Last week, I attempted to get an amendment on the Keystone Pipeline legislation to make sure we have health studies related to pet coke. This is basically a byproduct of the refining of heavy oil, tarsands, which is coming from Alberta," Peters said. The Keystone XL Pipeline would transport Alberta oil to U.S. Gulf Coast refineries. Pet coke began piling up on the banks of the Detroit River months ago. "This material is dirtier than the dirtiest coal," Peters said. "It’s not really an oilsands issues, it’s common to all refineries and all oils." "We need to get the answers now because the piles that we're seeing here along the Detroit River, we're likely to see many, many more piles in cities all across the U.S. and other places," Peters said. "We need to better understand this material and the impact this material has on the environment and on public health." The pitch black carbon-based fuel began arriving in Detroit months ago. The three-storey piles are left uncovered near the waterway that connects Lake St. Clair to Lake Erie, which provides drinking water to millions. The pet coke is being stored on land owned by billionaire Ambassador Bridge owner Matty Moroun and is being managed by Detroit Bulk Storage. U.S. 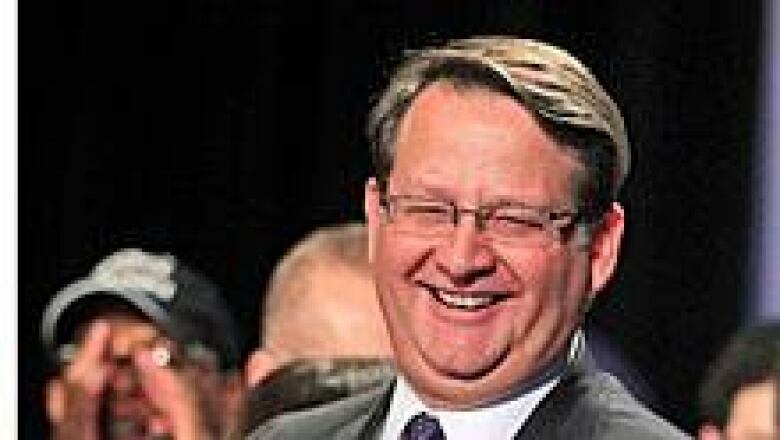 Congressman Gary Peters will introduce legislation next week calling for a complete and comprehensive study of the environmental and health effects of pet coke. "It’s time to be asking some very serious questions about the activity that is occurring here," Peters said. "Eventually, it impacts all of us." Residents on both sides of the 1.6-kilometre wide river are concerned about possible health risks pet coke may present. Pat Noonan of Windsor, Ont., is head of Windsor on Watch, an environmental group concerned about air quality being affected by the pet coke. "Air doesn't have borders so if it's in the air right above those piles, it spreads to all of us, and water, too," she said. The material concerns even the company storing it, although Detroit Bulk Storage maintains it took proper storage precautions to protect its employees and neighbours. "We understand the concerns the community has about their health and safety. We have similar concerns for the community and for our employees," Daniel Cherrin, spokesman for Detroit Bulk Storage, wrote in an email to CBC News. "We proactively work to minimize the dry bulk products we transfer to ships by spraying them regularly with water as well as an epoxy like substance that minimizes any fugitive dust." Cherrin said that in October 2012, before any pet coke was received or stored, the yard was asphalted in order to have an impermeable surface. The pad was specifically sloped away from the Detroit River so that any accumulated water would gather in one location so that it could be treated under the Storm Water Pollution Prevention Plan. Jan Ciborowski of the Great Lakes Institute for Environmental Research at the University of Windsor told CBC News earlier this year that pet coke "is not a hazardous substance." He said it poses no bigger threat than piles of aggregate. Opponents, though, want the pet coke covered. That's what is required in California, for example. "My main concern is with it on the very edge of the Detroit River when you have a rain event … where is the material going when it washes down?" Peters asked. Jack and Christine Driscoll own a restaurant in Detroit, near the mounds of pet coke. "It’s ruining our beautiful international view," Driscoll said. "The health concerns, if they do exist, we’re exposed to this 24 hours a day. It’d just be nice to have some answers."